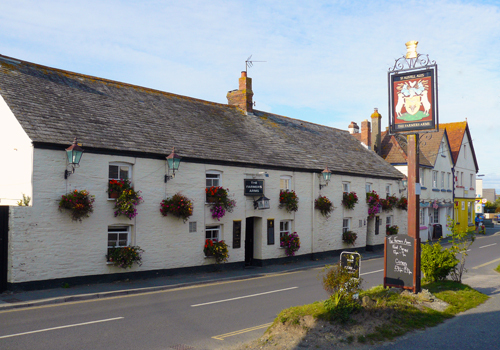 The Farmers Arms at St Merryn is located in one of the most popular areas of North Cornwall near Padstow. Just minutes away from the “Seven Bays” it is the perfect holiday base. 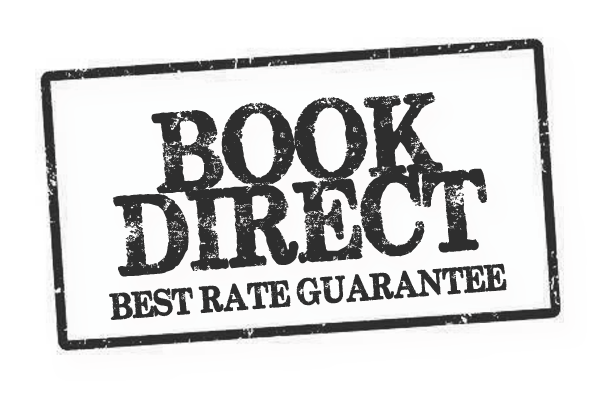 Book Direct for Our Best Room Rates! Booking a room direct with us during opening hours, means that you can take advantage of any late availability and get the best rates! Our accommodation is very reasonably priced and offers our visitors truly unbeatable value. Explore the beautiful North Cornish coast with famous fishing villages like Padstow and Port Isaac. 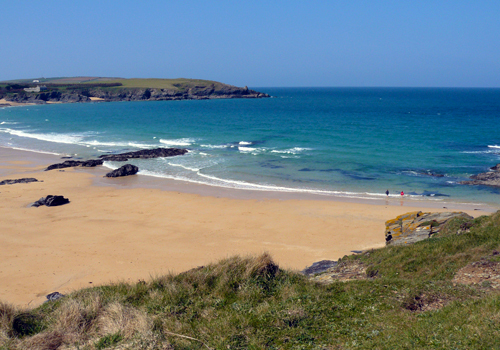 Probably the best known is Harlyn Bay, with its wide sweeping sandy beach and Atlantic rollers. Dan and Lisa would like to welcome you to the Farmers Arms. 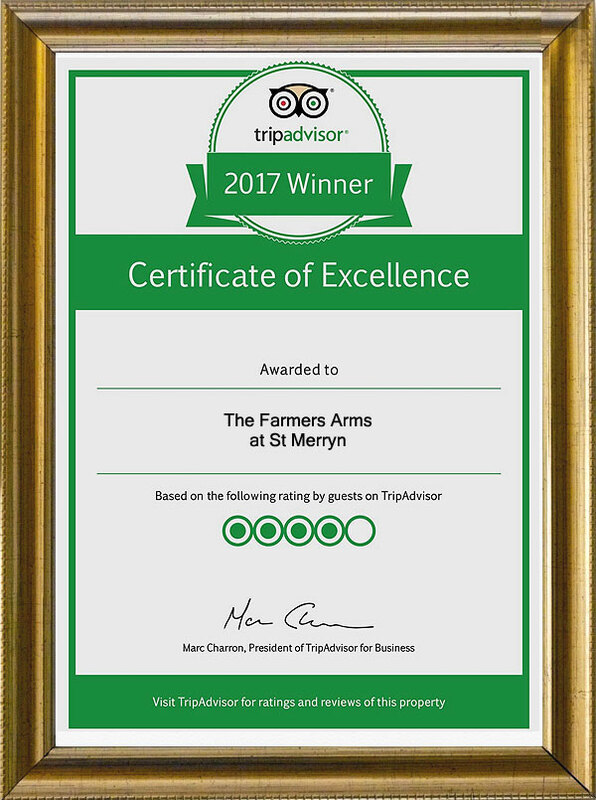 The Farmers Arms is situated in the heart of St Merryn village, approx 3 miles from the popular Cornish Fishing village of Padstow. 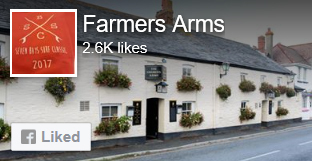 The Farmers Arms offers a large, free car park, public bar, restaurant, function room, decking area, a new children’s play area and four Bed & Breakfast rooms. The Farmers has gained a reputation for exceptionally well kept cask conditioned ale and keg products as well as fine home cooked food. All our ingredients are locally sourced wherever possible, supporting small local suppliers and maintaining a high level of quality at all times. 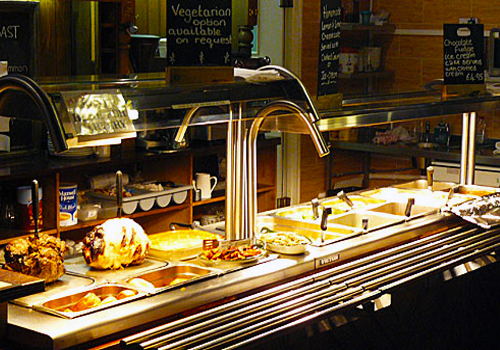 Our Farmers Carvery is available every Sunday all year, and every night at busy times. The Farmers is a great access point for the Seven Bays area of North Cornwall, some of the county’s finest bays and surf beaches. You are also within close proximity to Trevose Golf Course, Padstow, Prideaux place, the Camel Trail, The Alps Fishing lakes, The Saints way , Bedruthan Steps and many other attractions. Our B & B rooms are situated above the Inn. 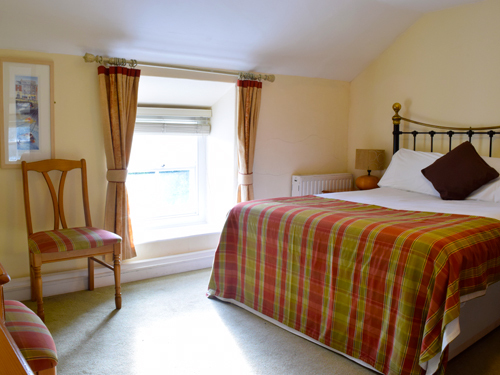 All of our rooms are ensuite and we can offer double, twin and family rooms. We offer room only rates as well as B & B. Some of our rooms are also dog friendly, and we are sure that our pub dog, Boris will give you all a warm welcome too. On most Saturday nights and some Sundays you will find live music in the bar or in our function room, creating a lively atmosphere in and around the pub at the weekends. Bar opening times 11.00am – 12.00 Midnight Every Day. Food Service Time 12.00 -2pm lunchtime and 5.30 – 8.30 evening, 12.00 – 2.30pm and 5.30- 9.00 at busier times.